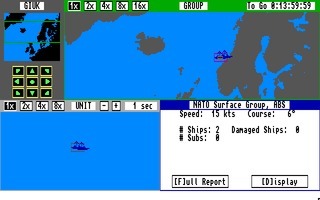 Harpoon is a naval wargame created by Three-Sixty Pacific and published for MS-DOS in 1989, then ported to Amiga and Macintosh in 1990. 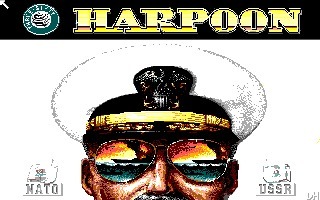 Former naval officer Larry Bond took inspiration from a real military simulation called NAVTAG to design a board game called Harpoon in 1980. 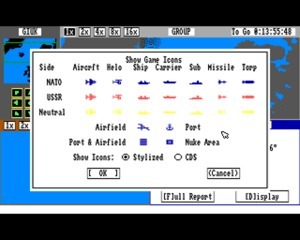 In the game, you can choose to be a commander of either the Soviet or NATO forces in one of the several war scenarios, and employ more than 100 real weapons and pieces of equipment. 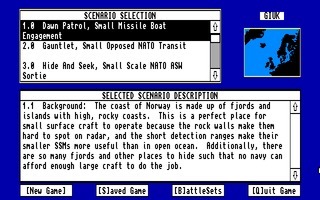 The board game became very popular and the author himself, together with Tom Clancy, used it to test the naval battles of The Hunt for Red October and later Red Storm Rising, a book that the two wrote together. 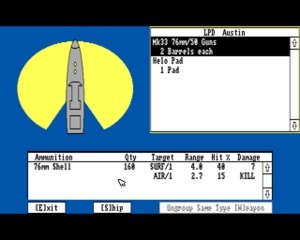 In 1989 Harpoon became a video game and was an immediate success. 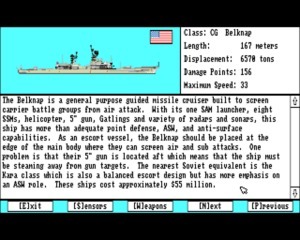 Computer Gaming World elected it Wargame of the Year and many other magazines voted 5 out of 5 stars. 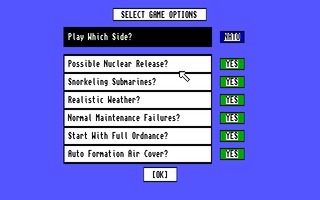 It is still considered one of the most detailed simulations ever created. 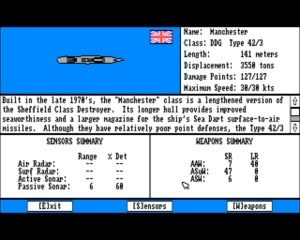 A must-have for all war games fans. 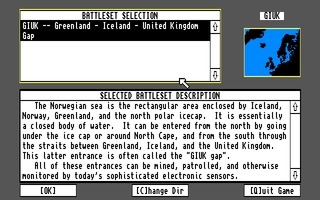 This is the original version, that contains the Greenland/Iceland/United Kingdom battleset. 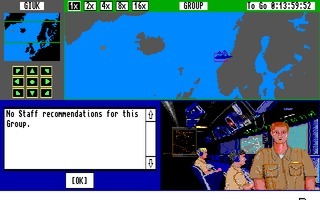 Don't forget to download the manual.